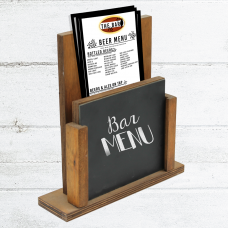 Curved Metal Menu Holders. 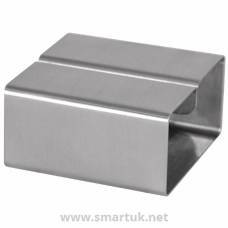 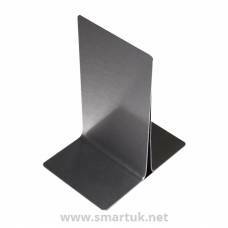 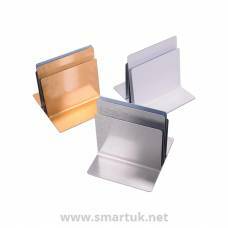 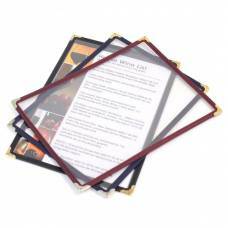 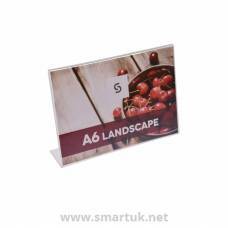 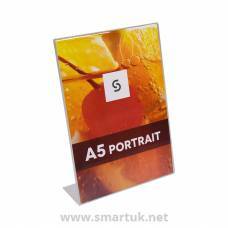 These menu holders have a curved display aspect and are manufactured from a stylish metal material. 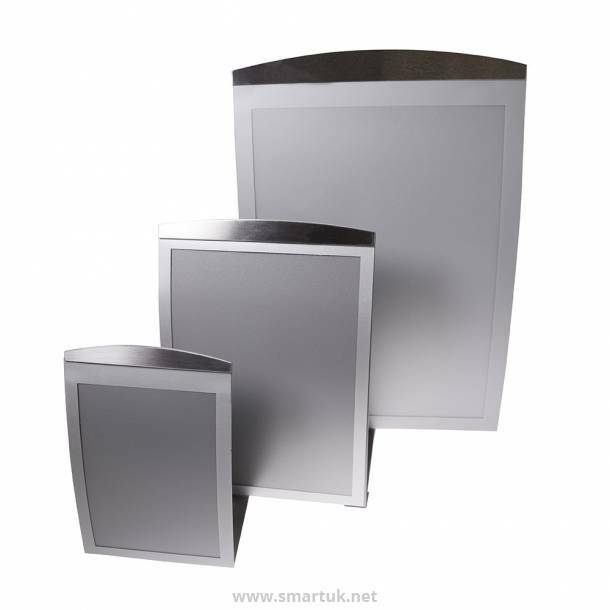 Curved Metal Menu Holders are free standing with a contemporary curved design, created from a stylish, polished metal material. 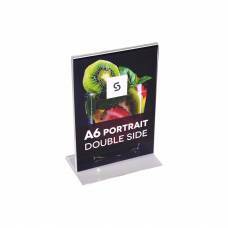 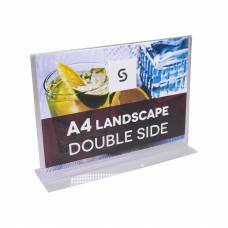 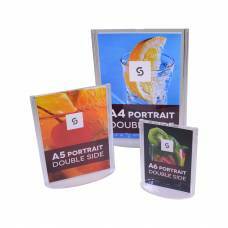 Curved menu holders are available in three sizes to hold standard printed paper sizes. 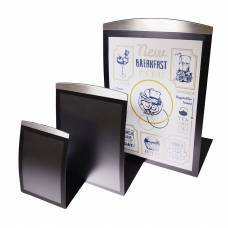 Curved metal menu holders are available in a range of contemporary finishes, including silver, black and stainless steel, they are easy to keep clean, splash resistant and durable. 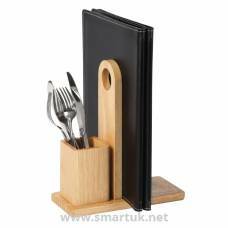 A truly modern and stylish menu holder that will bring any printed menu material or special-offer to life.